The Library houses children’s books and DVDs. The Library has a collection of over 12000 books in English, Gujarati, Hindi & Marathi for children 5-16 years which include classics, adventure, humor, fairy tales, comics, general knowledge, reference books etc. Activities like creative writing, calligraphy, handwriting improvement, phonics, quizzes and debates are regularly organized for childrenv. The emphasis is on helping children to appreciate good literature and to widen their knowledge about the world. A number of popular children's magazines are regularly subscribed in the Library. A number of indoor board games like Chess, Carom, Ludo, Snakes and Ladder, Scrabble etc. are also a part of the Library. To inculcate thorough understanding of science, what is needed is the curiosity of a child to ask 'How and Why' of things and a keenness to learn. 'Science is Fun' is the aim of the science section. The section has a laboratory for doing experiments in Physics, Chemistry and Biology. Various principles in all streams of science are associated with day- to-day life and curiosity of children is satisfied in the most meaningful ways. The Science workshop is an open platform of experiments and games which provide first hand understanding and insight into various principles of science. The center aims to develop a scientific temper and attitude in children. Thematic workshops on topics of Physics, Chemistry and Biology are an ongoing feature in the center. Astronomy club is a part of the Science Center. Environment activities create an awareness in children about the environmental hazards and find solutions for the same. It also aims at inculcating in children the feeling of love, concern and responsibility towards nature. 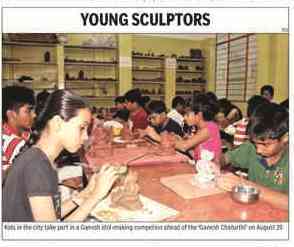 Regular workshops, field trips, discussions on relevant topics, camps etc are organized for children at the center. The following activities are conducted for children in the Science club. Art is the best way of expression which does not need any language. A child from the very beginning is interested in "creating", even when his actions and thoughts are not perfectly co-ordinated. 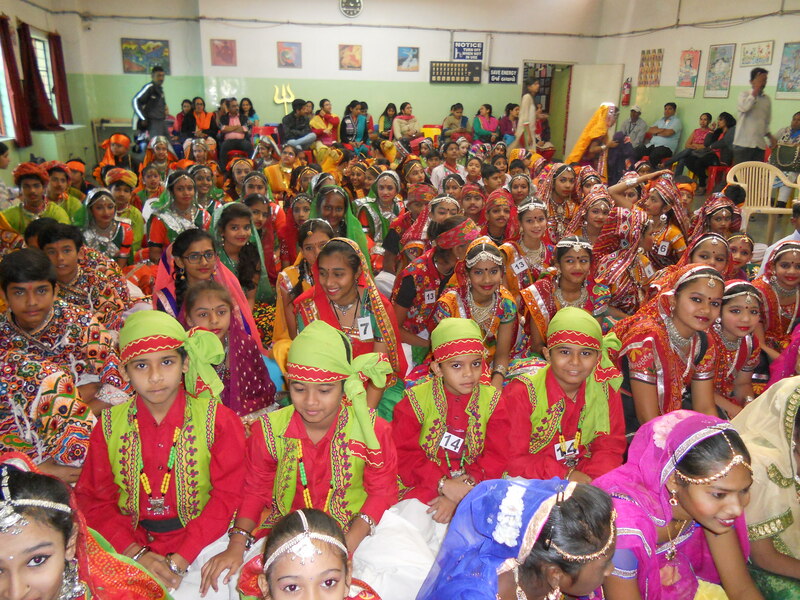 Special workshops in traditional folk art (Warli, Madhubani and Rangoli), Lino printing, Glass painting, Paper mache, Pottery, Terracotta, Mural making, Best out of waste etc, are a regular feature. 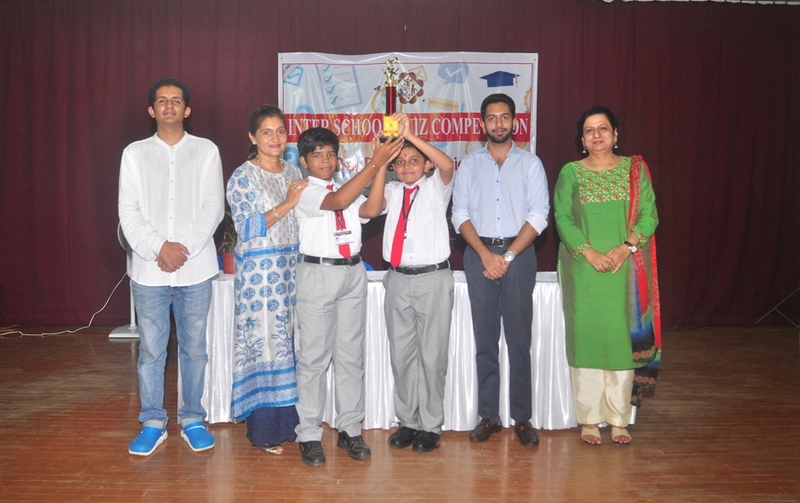 Art competitions are also organized from time to time. 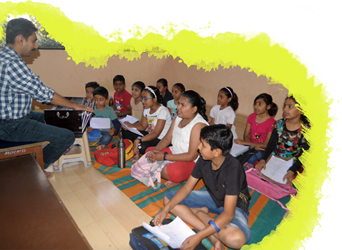 Bal Bhavan provides opportunities of self expression and tries to develop aesthetic sensitivity in children through various activities of creative arts and tries to provide an environment where children can imagine freely and spontaneously. 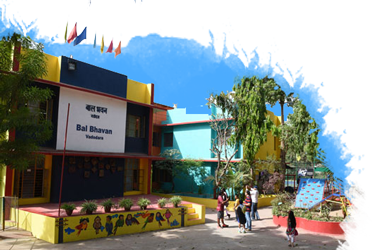 The children's Sports Complex with its indoor and outdoor facilities occupies a special status in the programmes and activities of Bal Bhavan. It was one of the first Children's Sports Complex of its kind in Vadodara which offers systematic and scientific coaching in various indoor and outdoor games and sports. A special feature of the indoor sports stadium is that it houses three Badminton courts built along international standards. 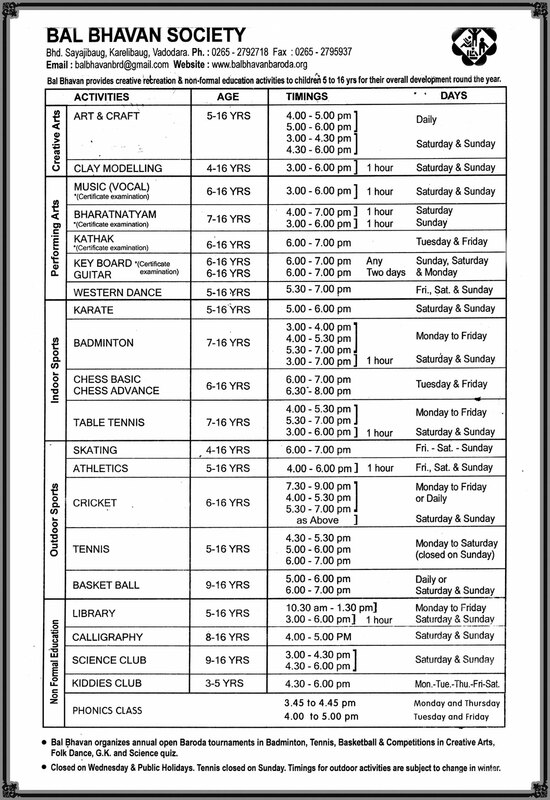 Indoor games include Badminton, Table Tennis, Karate, Squash and Chess. Outdoor sports include regular coaching in Athletics, Cricket, Tennis (the Tennis center houses one synthetic court and four hard courts), Basketball , Skating and special training in Rope malkham(during vacation camps) . 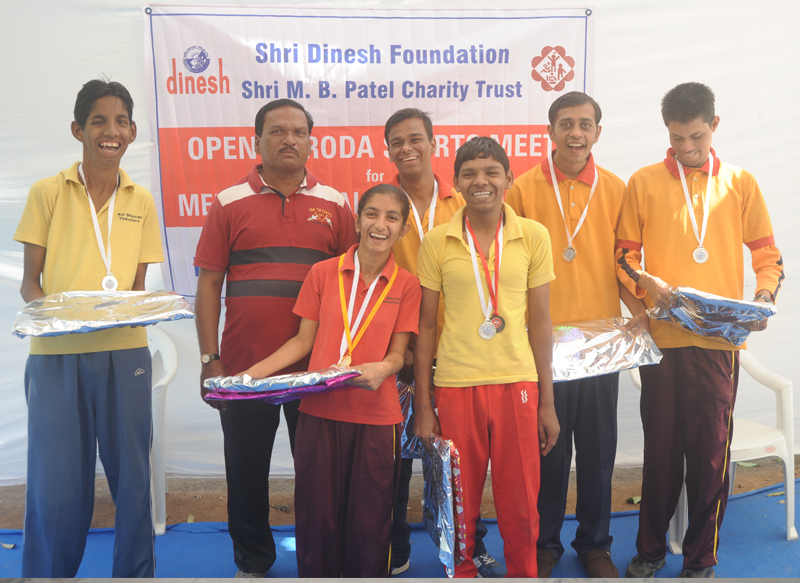 Several District, State and National level selections and tournaments in various sports are held at the complex every year. The players of the center have the benefit of procuring coaching by NIS coaches and Sports Authority of Gujarat deputed coaches. 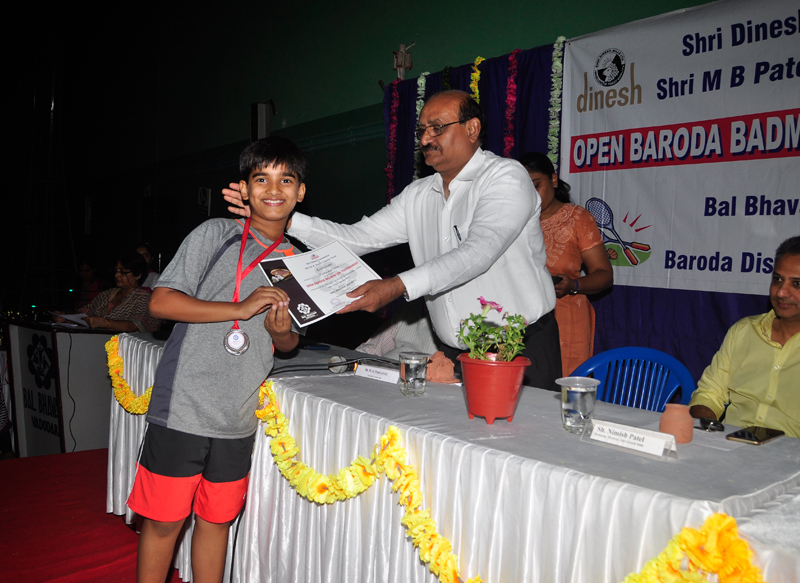 Baroda open tournaments are organized in various sports. 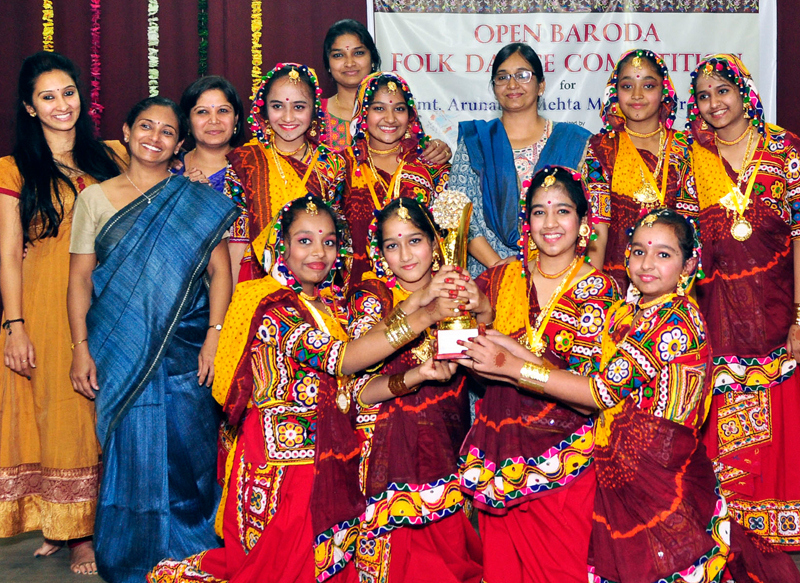 The multifarious activities in this section offers various forms of Theatre which include Drama ( games, exercises, improvisations and performances ), Vocal Music (classical and children's songs), Instrumental music (Keyboard, Guitar, Harmonium,Tabla ) Classical dance (Bharatnatyam and Kathak), Folk Dances, and Western dance with aerobics. 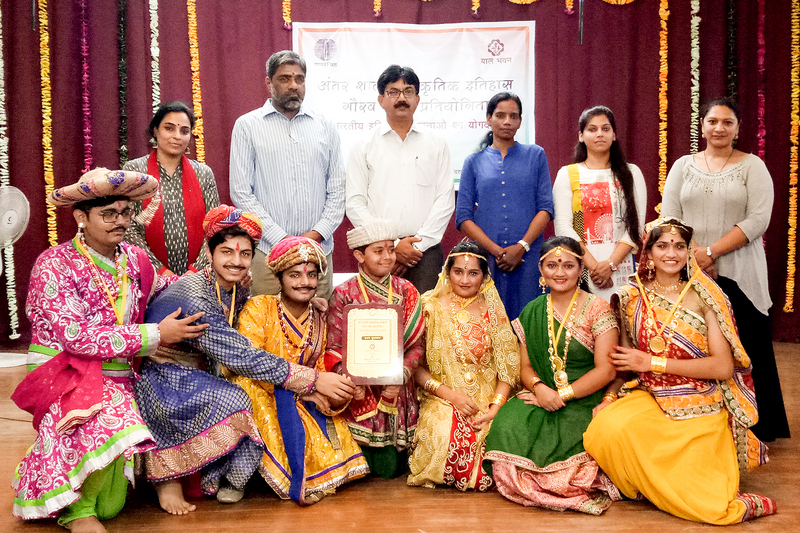 Certificate courses in classical and instrumental music and dance are offered through the Bruhud Gujarat Sangeet Samiti Ahmedabad with which the center is affiliated. 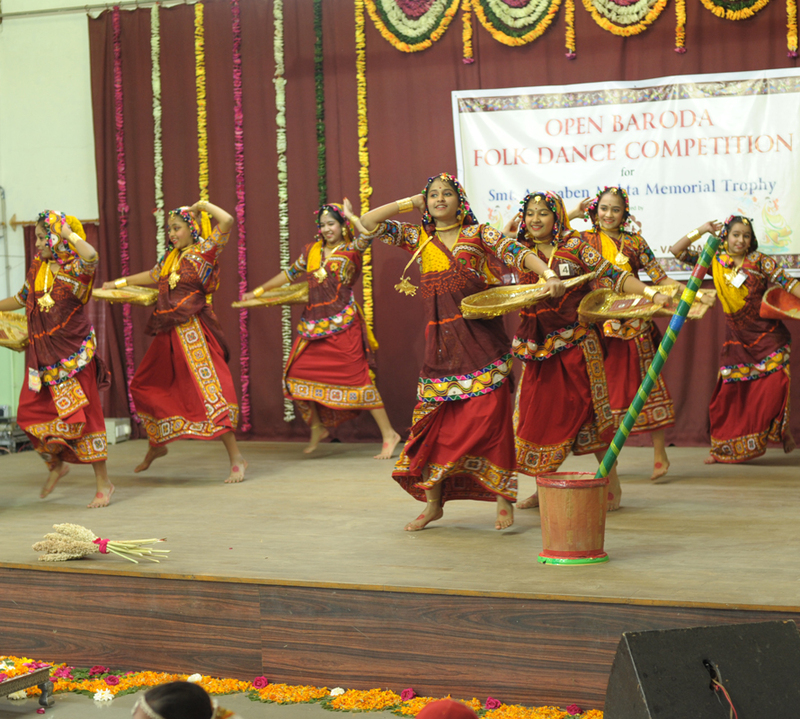 Competitions in dance are regularly organized.